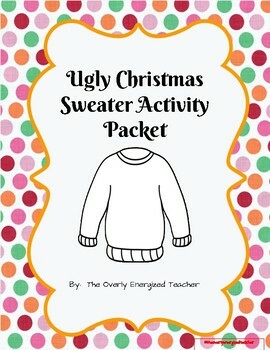 Students will be designing their own Ugly Christmas Sweaters for a character of their choice. 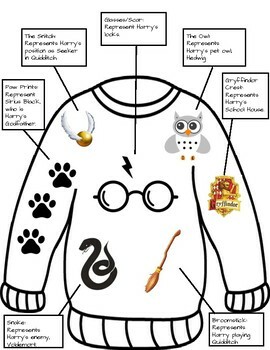 They will need to design it with things that represent their character. 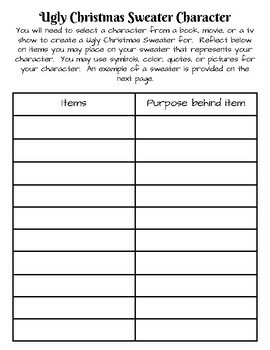 They will also be creating a guest list and shopping list for their party. The students will need to make invitations for their guests. After the party is over, they will be completing a writing prompt on how their party went. 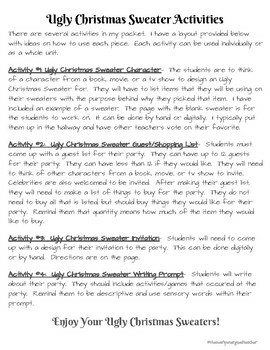 This is a great way to have students be creative before Christmas break!